The medical profession has long recognised that, when it comes to health, prevention is better than cure. For example, it is better to help people quit smoking than to treat lung cancer and to provide vaccines rather than try and cure childhood illnesses, such as mumps, measles and chicken pox. Unfortunately, we have been less quick to recognise that when it comes to human rights, prevention is also better than cure. 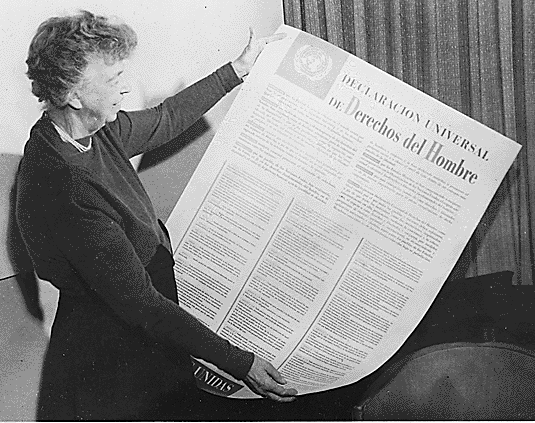 Paula Gerber examines our current approach to human rights. In 2012, human rights atrocities continue to be perpetrated around the world, and the international community appears to be comfortable either ignoring the violations, or responding by sending in peace keepers after the fact. It has yet to embrace the idea that human rights violations can be prevented. Over 60 years later such education is by no means commonplace. For this reason, the UN has worked hard to promote HRE through initiatives such as the Decade for Human Rights Education (1995 – 2004), the World Programme for Human Rights Education (2005 – ongoing) and, most recently, the adoption in 2011 of the Declaration on Human Rights Education and Training. However, all these initiatives amount to nothing if states do not give effect to them. The UN can’t march into schools and start teaching human rights! It is up to governments to implement HRE within schools through mandating such education and embedding human rights in school curricula. The UN Committee on the Rights of the Child stated in its very first General Comment that The Committee noted that governments should formally incorporate HRE into their education policies and legislation, and without such measures, it is unlikely that HRE will genuinely inform educational policies. Thus, domestic legislation mandating HRE sends a powerful message that schools must incorporate human rights into their educational programs. An example of such a mandate can be seen in section 4(b) of the South African National Education Policy Act of 1996, which provides that education policy must contribute to the advancement of democracy and human rights. The importance of HRE must also be emphasised within national school curricula. It is not necessary that there be a separate subject called ‘human rights’. Rather human rights principles should infuse and inform the entire curricula. There are obviously opportunities for teaching human rights in English, through selecting literature with human rights themes, and history and civics and citizenship studies are other subjects that readily lend themselves to learning about human rights. But science, art, languages and maths also present opportunities for human rights education. For example, a maths teacher could use coffee prices, average wages, refugee numbers, world literacy levels and clean water as vehicles for teaching maths. Teacher 1: I’m not doing a lot with it [HRE] but I’m probably doing more than a lot of teachers. And I still struggle with it because I’m not really clear, and I haven’t been taught about it. Teachers tend to teach what they’re familiar with and how they were taught and the information they were taught, and I didn’t really get any of this in college. Teacher 2: The next step is to train teachers so that they’re comfortable teaching this [human rights] … Teachers aren’t going to teach it unless they have the skills. Unfortunately, human rights is still largely absent from teacher training programs, and this must be addressed if we are to see widespread HRE in schools in the foreseeable future. Human rights education is unlikely to be effective if it is done in an environment which does not respect students’ rights. HRE requires more than just imparting knowledge about human rights, more than rote learning the provisions of the UDHR. The acquisition of knowledge and skills about human rights is a key component of HRE, but so is embracing attitudes and behaviours that reflect human rights values. Developing human rights, respecting values and behaviours can only be achieved in a classroom and school environment which reflects and models the human rights values that we are seeking to instil in children. Thus, some teachers find it useful for students to draft their own classroom Bill of Rights as a way of appreciating the role that human rights play in a functioning community. It is time for the international community to do more than pass resolutions about human rights education within the hallowed halls of the UN. If we are to have any chance of preventing future human rights abuses, governments must take positive steps to ensure widespread HRE within all schools. Embedding human rights within the curricula, training teachers about HRE and encouraging the teaching of human rights within a rights respecting environment would go a long way to advancing universal HRE for all children. Dr. Paula Gerber is an Associate Professor in the Law School at Monash University in Australia and Deputy Director of the Castan Centre for Human Rights Law. She is the author of From convention to classroom: The long road to human rights education and Understanding Human Rights: Educational Challenges for the Future and co-editor of Contemporary Perspectives on Human Rights Law in Australia.